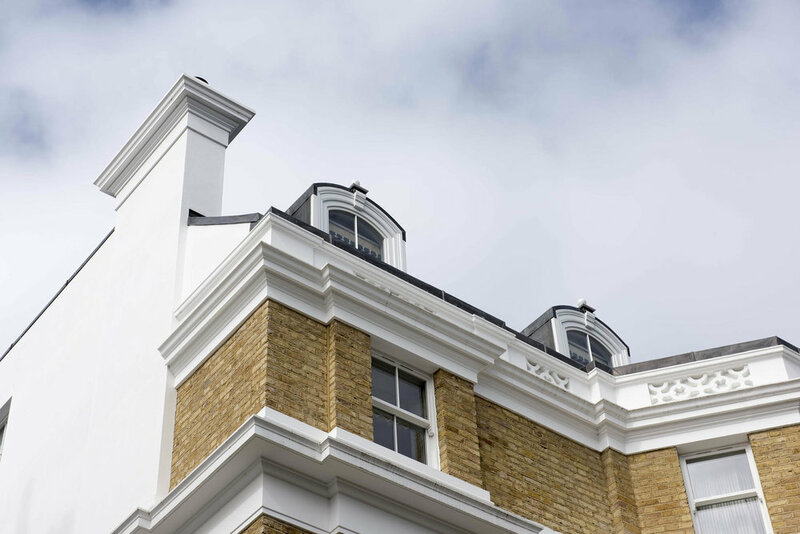 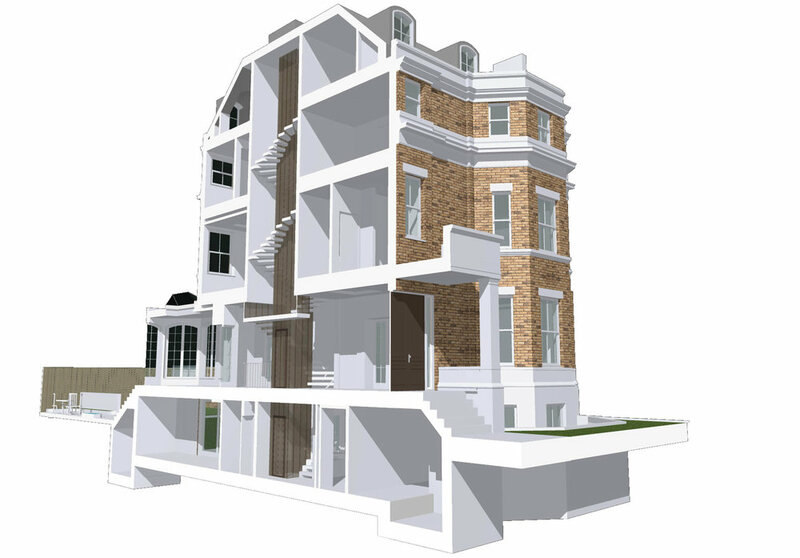 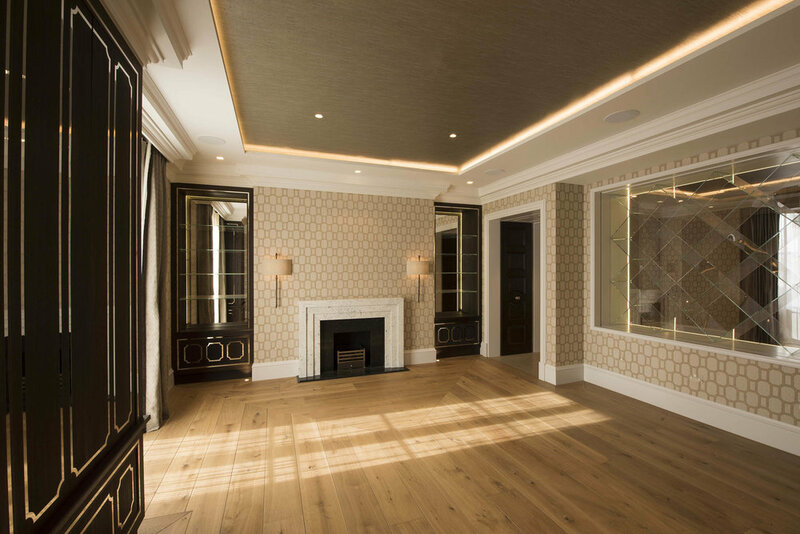 Lees Associates acted as lead consultant on a major remodelling project on the edge of Holland Park, rebuilding and extending an existing house between partially retained front and rear facades. 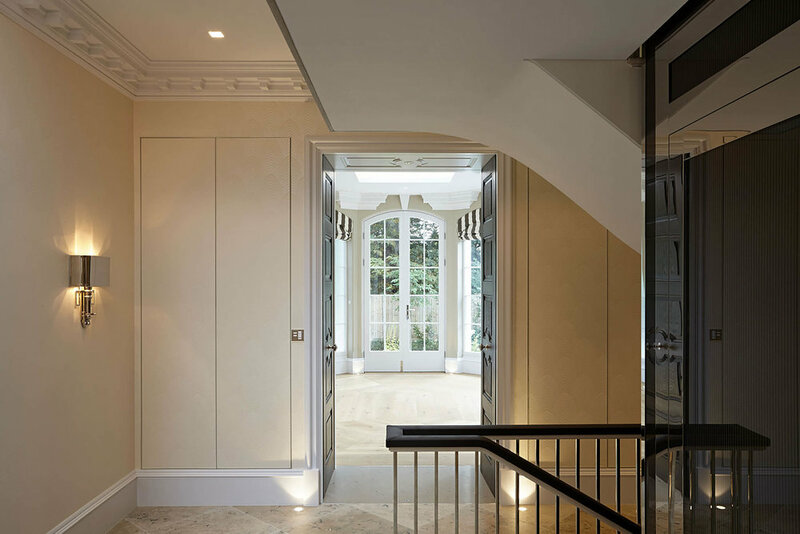 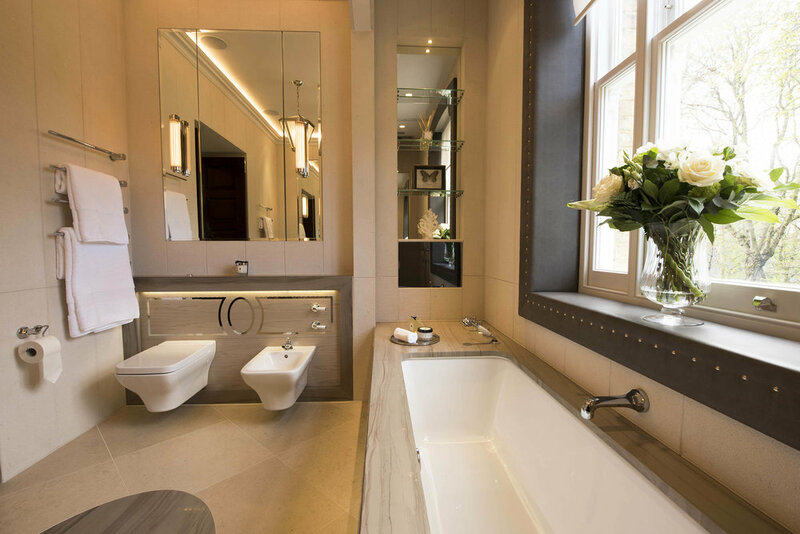 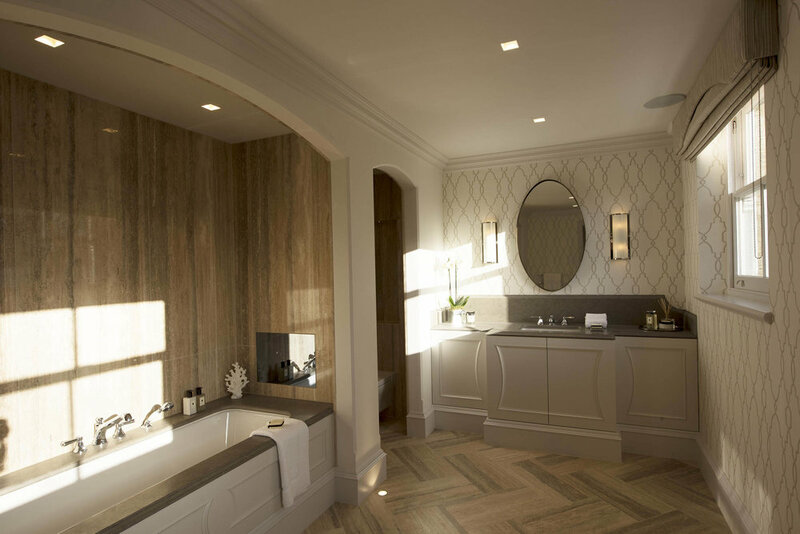 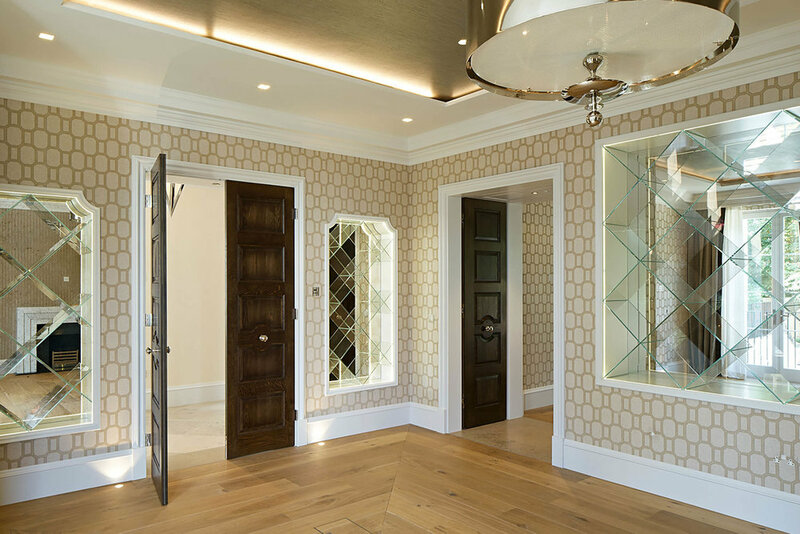 Working in close collaboration with interior designers Lambart & Browne, we rationalised the plan including a deeper basement and a single grand staircase wrapping around a glass lift shaft which, which sparkles and shines with the use of hidden LEDs. 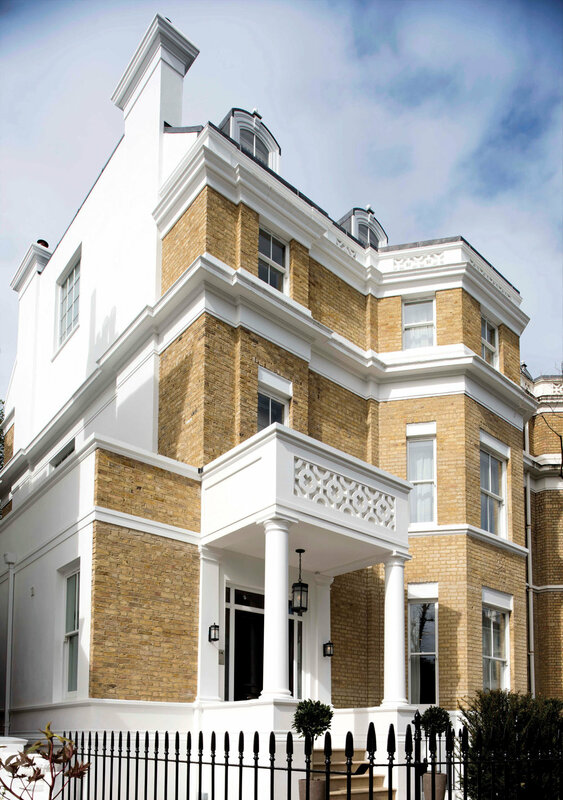 As a development, the scheme was delivered on a tight budget and has now joined London’s prime rental market.